News : New BlackBerry Z10 leaks, looks promising . 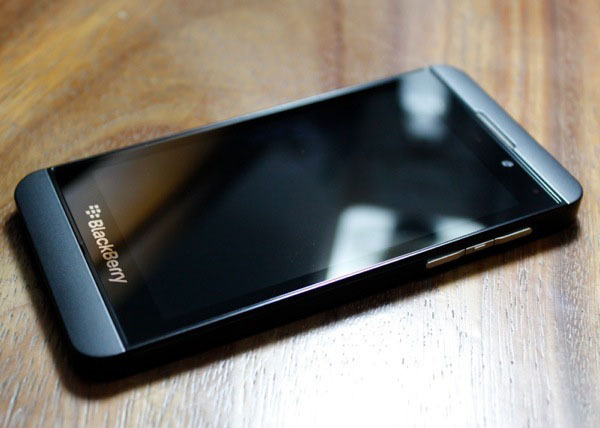 Home Phones BlackBerry News : New BlackBerry Z10 leaks, looks promising . The upcoming “L-series” device just got leaked ahead of the 30 January global launch. Research in Motion , the owner of the BlackBerry had already planned to launch the BB10 and their first BB10 handset in 2013. The Blackberry Z10 , an elite member of the all new full-touch range of devices just leaked . The above device looks very similar to the Dev Alpha B device but obviously well furnished . Specifications for the Z10 surfaced : A Dual core processor coupled to 1 GB of RAM for starters. As cleared by RIM earlier, the resolution would natively be 1280*768 . With full 4G LTE capabilities and Wifi a/b/g/n and Bluetooth 4.0 , it matches all dots for the current smartphone market. The fun facts do not end there, with its all fresh and improved OS10 software which is very much refined and snappy, the current smartphone scenario can expect to have a new boss in the office . The day to look forward is 30th January 2013 when the company shall release it. Previous articleNews: Sony Yuga 2013 leaks , massive beast ahead !